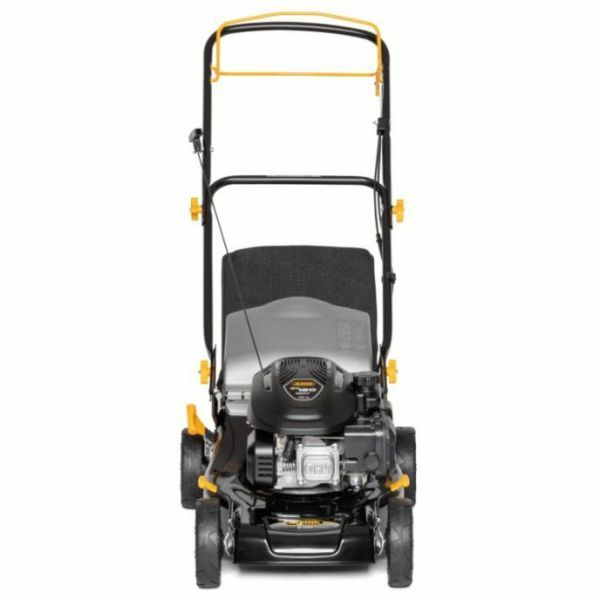 The Alpina BL410S 16" Petrol Lawnmower has a robust steel chassis and is self-propelled and powered by a 123cc, ST 120 OHV Autochoke Alpina engine. This lawnmower has a fuel tank capacity of 75 litres with a net power output of 1.90kW @ 2900rpm and is ideal for maintaining a garden up to 1000m. 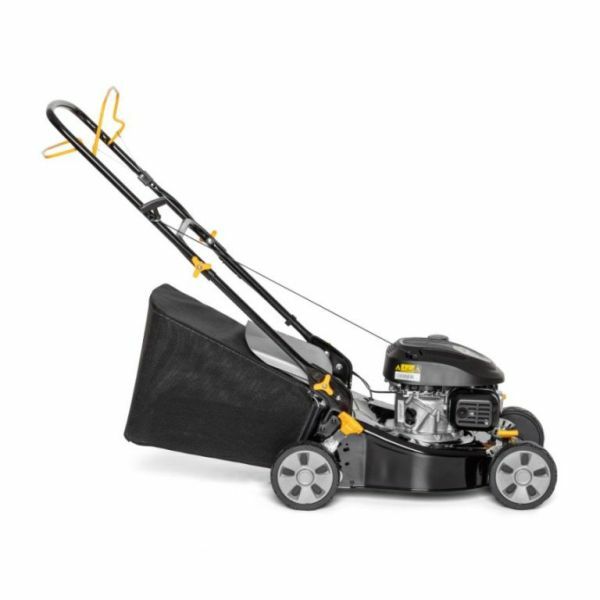 There is a generous 41cm cutting width, with 3 cutting height adjustment levers for 5 positions, ranging from 27-80mm enabling you to select the perfect finish for your lawn. 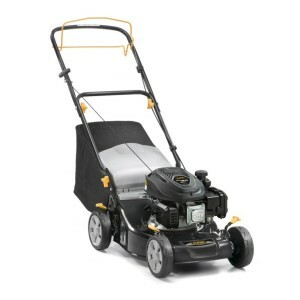 You also have the choice of collecting the grass cuttings in the 55 litre fabric grass collector which is at the back of the lawnmower or select the rear discharge mode to eject the grass cuttings back onto the ground. A foldable and height adjustable handle is included as standard, providing additional comfort for taller users and making it easy to both transport and store.